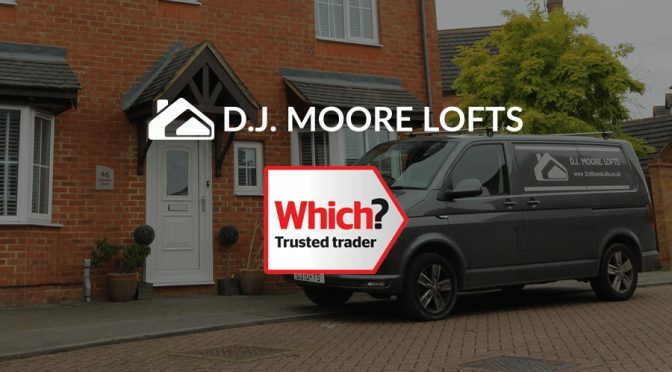 DJ Moore Lofts are excited to announce that we are officially Which? approved trusted traders! Which? is known widely for testing products, and leaving honest non-biased reviews which are shown to the public. They raise awareness to consumers of their rights, and highlight any safety issues through their magazine and public campaigns. It’s difficult to become Which? approved, due to their incredibly high standards, and because the accreditation is in such high demand within the trade world. We are so happy to now be part of their Trusted Traders scheme and look forward to working with them in the future!